A bold take on black tie formalwear. 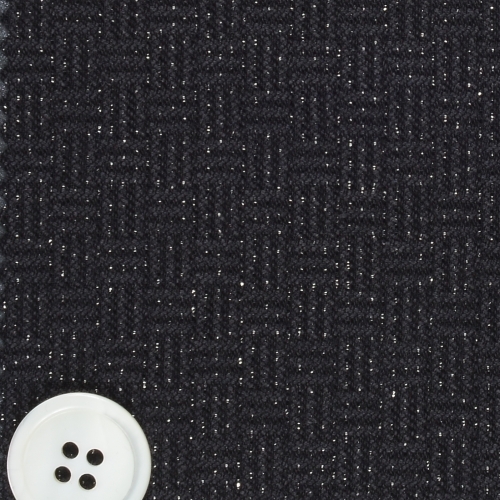 This tuxedo jacket is crafted from a unique black lurex cloth from Dormeuil, which results in the appearance of silver confetti in the fabric. This is certainly adventurous as is rewarding when donning black tie.